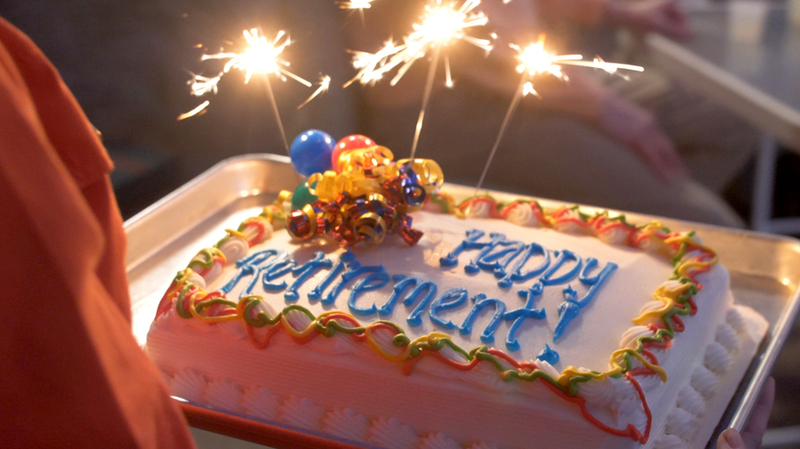 Retirement planning today is a far cry from the prevailing pattern of the mid-20th century. 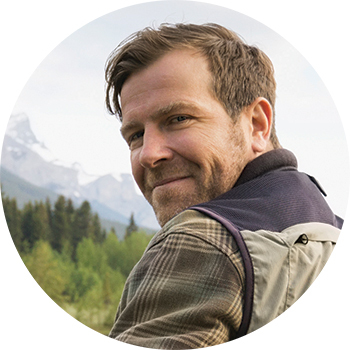 As this video explains, preserving wealth throughout retirement is increasingly important for investors, as there are fewer income guarantees than earlier generations once had. Many retirees used to be able to depend on a monthly pension and social security benefit for life…income that was guaranteed and predictable. But planning for retirement today is much more complex…and likely with fewer guarantees than earlier generations. The shift away from employer-provided retirement plans, like pensions…to self-managed plans like 401Ks and IRAs, has a lot to do with that. So does the impact that living longer has on our finances. It’s no wonder that preserving wealth throughout retirement has become an important topic for many investors. Research shows that whether your retirement is still years down the road…or just around the corner…chances are it may last longer and cost more than at any other time in history. This will undoubtedly change the traditional retirement picture for many investors in the workforce today. So how do you know what the right retirement strategy is for you? Well, it depends on what stage of life you’re in. If you’re a Millennial, you’re still accumulating assets. Time and the potential power of compounding is on your side, so start saving early and take advantage of tax-advantaged retirement accounts. If you’re a Gen Xer, you’re likely in your peak earning years. So think about increasing your savings contribution and paying down household debt. And, if you’re a Baby Boomer, you’re close to, or in retirement. So, now is the time to consider reducing risk and creating a tax efficient plan for generating income that will help your money last for the rest of your life. Developing an investment plan is the key to being prepared for your retirement. And we believe the best way to begin is by having a planning mindset…and taking action. Remember…you’re in charge of planning for your retirement. 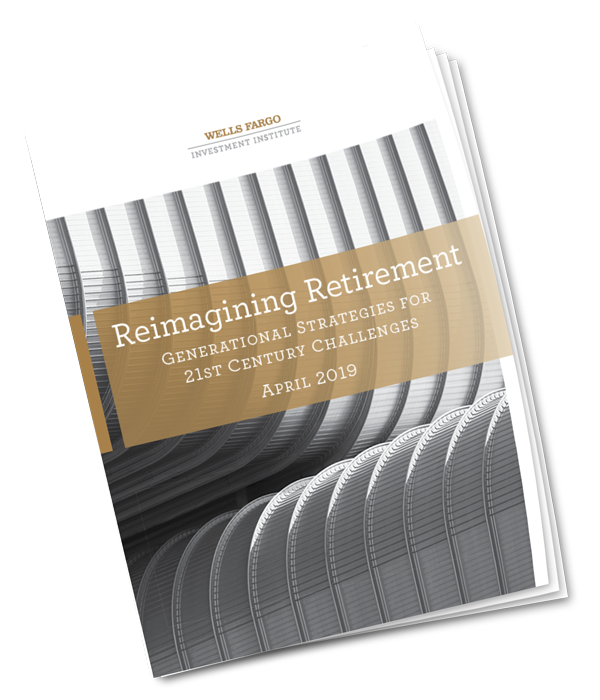 To learn more about how retirement investing strategies can work for you, download our Wells Fargo Investment Institute special report: Reimagining Retirement: Generational Strategies for 21st Century Challenges. All investing involves risk including the possible loss of principal. Investors should be aware of, and understand, all risks associated with a particular investment product before investing. The shift from direct-benefit plans, such as pensions, to direct-contribution plans, such as 401(k)s, means that individuals have a much greater responsibility for their retirement. You can see the shift across generations. Source: 2018 Wells Fargo Retirement Study, October 15, 2018. Each of the generations in the workforce today—Baby Boomers, Generation X, and Millennials—faces unique challenges. But each is also in a unique position to take control of retirement. of Baby Boomers in an employer-sponsored retirement plan are invested in a diversified portfolio. As they approach retirement, investors have tended to emphasize fixed income for reduced volatility and income generation. Due to low interest rates and longer work lives, however, strategists advise that Baby Boomers may want to maintain a higher allocation to equities during their retirement years, depending on their risk tolerance. of Gen Xers have a detailed financial plan. In our opinion, portfolio allocations for this generation should favor equities for growth but still be diversified to smooth out downturns. Within the equity allocation, consider diversifying across domestic and international stocks. of Millennials do not believe the stock market is a good place to grow their retirement savings. Limited experience and an aversion to risk can make millennials hesitant to start investing. However, starting an investing plan as early as possible can have a significant effect on your savings. Assuming your investments earn a hypothetical 6% return yearly, over time the power of compounding could have a significant effect on your savings. 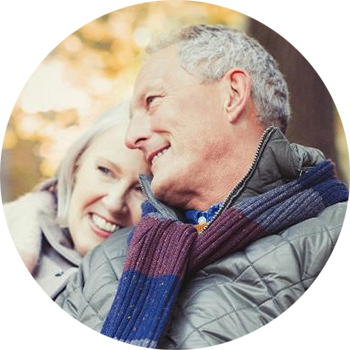 The 2018 Wells Fargo Retirement Study identified the factors most associated with financial well-being. This is the Planning Mindset—a state of mind that leads to behaviors that can help create retirement-planning success. Reimagining Retirement includes more information to help investors succeed in their retirement planning. 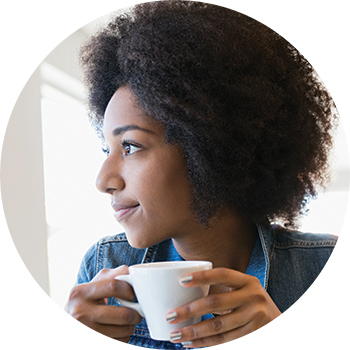 Wells Fargo Investment Institute is home to more than 140 investment professionals focused on investment strategy, asset allocation, portfolio management, and alternative investments. Its mission is to deliver timely, actionable advice that can help investors achieve their financial goals. For additional insights and market commentary, visit our website. For assistance with your investment planning or to discuss the points in this report, please talk to your investment professional. Equity securities are subject to market risk which means their value may fluctuate in response to general economic and market conditions and the perception of individual issuers. Investments in equity securities are generally more volatile than other types of securities. Global Alternative Investments (GAI) is a division of Wells Fargo Investment Institute, Inc. (WFII). WFII is a registered investment adviser and wholly owned subsidiary of Wells Fargo Bank, N.A., a bank affiliate of Wells Fargo & Company.